It is with great sadness that we received the news that our long time friend, brother, and teammate Roland Webb was killed in a pedestrian accident in Anmore on January 17. 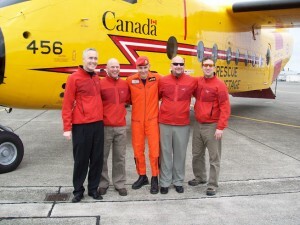 We knew Rollie first and foremost in his role as a valuable member of our SAR team, and a very active member of the SAR community in general, although we realize that any person is much, much more than their actions in any one aspect of their life, we remember him this way. 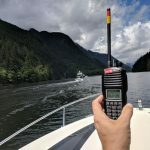 Rollie was a very active SAR member, having been with Coquitlam SAR since 2002, and previously being a member of Salt Spring Island SAR, Surrey SAR and Lion’s Bay SAR. 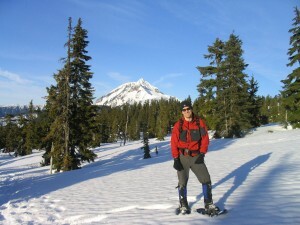 He was active in our Mountain Rescue program, and was recently certified as a member of our Helicopter Rescue team. 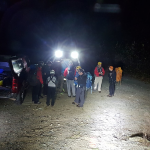 Rollie was one of the driving forces behind Coquitlam SAR’s medical training program, and many of the newer members of the team probably received most of their GSAR training from him. 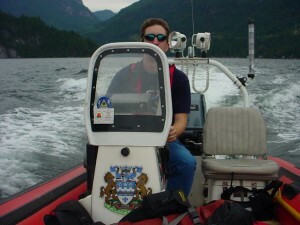 He was well known in the British Columbia Search and Rescue community, having presented at the national SARScene conference among other places. Rollie was never fully happy with the status quo and was always looking for some way to improve things. He launched projects within the team and elsewhere and saw them through to completion. He had a big heart, and even within a team known for people volunteering their time and effort to save others, would go even further than most. 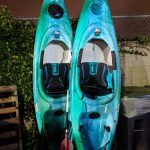 An example of this was at the Theta Lake search in 2007 when he and others SAR members spent a frigid night with a subject in difficult conditions. On another memorable search, he brought a carafe of coffee in to the site where rescuers were waiting for daylight to move the subject. 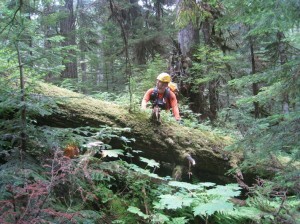 He would take on any challenge, but in the smart and careful way we expect of SAR members. He would take things learned from past rescues and make changes to team procedures to make us safer, and better prepared. He was the primary instigator behind Coquitlam SAR’s entry into the 2007 SARScene SAR Games with not one, but two teams of four members. He made sure that we scheduled several “extracurricular” training sessions for these eight members, with the result that one of the two teams went on to win the “Best All Volunteer SAR Team” award. 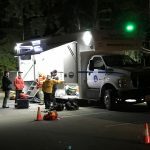 Rollie also served for several years as Course Medical Manager for BC Bike Race series, and many people and several SAR members remember him fondly in that role. He also taught outside of the volunteer SAR community, teaching helicopter safety courses, and Canadian Forces SARTech classes. 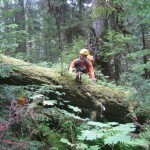 Rollie assisted former Coquitlam SAR member Mike Neilson in his efforts to become a SARTech. 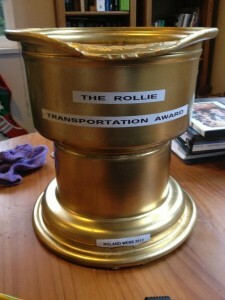 On the team, Rollie had a reputation for repeated incidents with one particular piece of equipment which led to many jokes at his expense. Perhaps because he was so active, and always planning training and terrain familiarization, he had several incidents with the team’s 8×8 “Argo” ATV, breaking it on more than one occasion, once requiring a helicopter to retrieve it. On a recent search last summer he managed roll the vehicle, then tear off one of the eight wheels. To his credit he also discovered that the Argo runs just as well on seven wheels. For these and other incidents, Rollie was awarded a special award at our last Christmas party (note the gold wheel at his feet in the following photo). 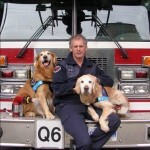 Rollie’s full time job was with the BC Ambulance Service where he was employed for 18 years. His most recent position there was as a Superintendent of Emergency Management where he was responsible for training and exercises, multiple casualty incident response planning, and incident support planning. Rollie was also a father and a family man, leaving behind two children Abbie and Ethan. Rollie’s brother, Sean, is an officer in the Vancouver Police Department, and he is also survived by his ex-wife Tracey, his father and Helena, who he was starting a new life with. The gap left by Rollie will affect all who knew him, none more than his family, who are in our thoughts and prayers. Coquitlam SAR would like to join with the many others Rollie knew in life in offering our condolences to his family and close friends. Rollie was our brother, our friend, our co-worker and will be sorely missed by everyone he touched. Please accept our condolences for the loss of your family member, friend and colleague. We pass on our thoughts and prayers for those who are left to mourn. I was shocked and saddened when I heard the news. I had the pleasure of working with Rollie on many searches and could always count on him to bring not just his skills but also his good sense of humour. His passing will leave a large hole in not only many peoples’ hearts but the SAR Community as well. Very sad to hear the news about Roland. 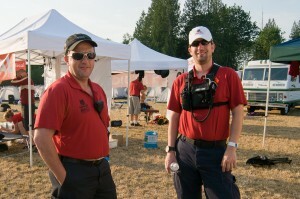 I worked with Roland when I was in Vancouver BCAS Dispatch, and related to him with his SAR background. Even more, I looked up to him when he was promoted to the Emergency Management Office. 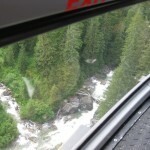 My condolences to our SAR community, especially Coquitlam SAR. Rollie was an honorable man and a devoted father. It was a privilege to work with him and I learned a lot from his leadership style and his vast experience. My heart goes out to his family and especially his young children. As the “figurehead” of the medical team I often get the thanks but the truth is Rollie was the brains behind the scene. There will be a big hole in our medical teams soul. Rollie was fond of giving big hugs. He always gave them for a half a second too long followed by his laugh. I will miss my friend and colleague. Incredibly sorry to hear of this – shocked. trucks are habitually going too fast up there. Rollie was a fine man. Bandaged me up at the 2010 BC Bike Race and was a really involved guy in many things – truly an unnecessary tragedy. Sincere condolences to other friends and family! Our Hearts & Prayers go out to Rollies Wife ,Children and family. He will be greatly missed all over the community but never as much as home. God Bless and we will continue to pray for some sense of Comfort and peace to you all. I only met Rollie once. When he helped save my life at Seymour. My deepest condolences to his close friends and family. The Lower Mainland has lost one her best men way too soon. It was with great sadness that I heard the news of Rollie’s sudden passing. I know that I share in the sense of deep loss that is felt by everyone who knew him. My thoughts go out to his family at this difficult time. We miss you already Rollie. Rollie was a true hero. 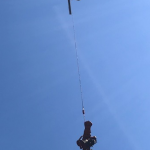 He not only spent countless hours helping people in both his professional career in the ambulance service but also in his spare time with Coquitlam SAR. I remember countless times when he would take the lead to move things along in a positive direction. He mentored and guided many of us in SAR. Rollie was about giving and showed all the characteristics of a true hero. He has left a gap in our hearts that will never be filled. I had the pleasure of working with Rollie for 3 years in Health Emergency Management. 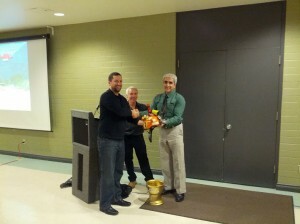 He always had a positive attitude, shared his ideas freely and was very supportive of of our work at the JIBC. He will be sorely missed. My deepest condolences to his other friends and family. RIP Rollie. Rollie was a great friend to me while I was working temporarily in Vancouver. I have fond memories of walking dogs together and I will always be grateful to him for his kindness and friendship. He was one of the first people I met in Vancouver and one of the most genuine. What a terrible loss. Rollie was a close friend of mine. He gave my life so many gifts. 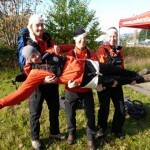 Our friendship began when I joined Coquitlam SAR in 2005. Rollie was my instructor and mentor – he was a patient, supportive and non-judgmental teacher. I remember fondly that when I was taking the orientation exam, a subject I struggled with, one of the test questions required me to map out a course. When I was done I handed it over to Rollie. Rollie, who knew that I have Dyslexia, held it up to the light, turned it around, and claimed it was perfect… I had mapped the entire course perfectly backwards. Rollie always made me feel accepted and welcome which meant a lot to me as I often lacked confidence in my ability to keep up with the team. Later our friendship grew closer because both Rollie’s and my life hit a difficult patch at around the same time. Both of us were struggling with the loss of our parents, Rollie his mom and me my dad, and the unexpected emotional impacts. 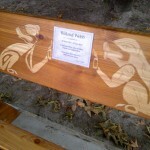 In 2009 my husband Peter and I moved to Ucluelet to follow a lifelong dream of living in a small town. I took on the job of Emergency Manager for the District and every time our little community experienced an incident – tsunami advisories and the loss of two paramedics in a tragic accident – Rollie would call me. As an emergency manager in a small town the role can often be isolating but Rollie was always there offering friendship, ideas and support. In the summers of 2010 and 2011, Rollie, Abby and Ethan made the trip to Ukee and stayed with us. During these visits we would play in the surf and eat marshmallows by the fire. Rollie was a fabulous father – his entire time in Ukee was dedicated to Abby and Ethan. He even spent many nights in a tent on our front lawn because Ethan wanted to camp. He did this despite the warm, comfy and dry bed available in the house a short 3 feet away. Rolie – thank you for the gifts you have given me – friendship, support, mentoring, training, patience, acceptance, encouragement, dependability, love, guidance…and the list goes on. I love you and miss you. Peter and I send our love and thoughts to all of Rollie’s friends and family. We extend our deepest sympathy to Rollie’s family & friends. We knew him only briefly. He took time to provide first aid to our son when he was injured during a horse ride. Rollie was enjoying a day off at the time but was first to react, providing care and supplies from his own kit. Thank you, Rollie! I’ll never forget Rollie and his kind heart. Back in October 2006 I was rescued by Coquitlam Search and Rescue, and on that cold and scary day the whole team was amazing but Rollie stood out to me. He was able to calm me down and eventually made me laugh, in the helicopter he made me feel safe even though the doors were open. It’s heartbreaking that this has happened, but I am very happy I got to meet this incredible human being and experience his loving, caring personality. Rest in peace Rollie, you’ll always be in my heart and the hearts of many others. I am deeply saddened tonight after hearing the news of Rollie’s passing. Our paths crossed many times over our adult lives in the world of prehospital care. I have great memories of the knowledge, enthusiasm, and humor brought to all of these interactions by Rollie. This loss creates a hole in the ambulance and rescue community in BC that will persist. My thoughts are with his family and team this eve. Thanks for all of your comments here. As a team mate and friend of Rollie, I only know him as a SAR guy and a friend and it’s so nice to see all of the other areas of his life and what he meant to so many people, from his colleagues, friends, family and the people he rescued. 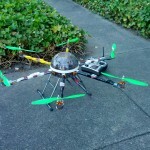 Apologies if your comments don’t appear immediately, I have to approve them because otherwise there is a lot of “spam”. If you don’t see your comment right away just wait and eventually it will show up. family and colleagues. Our thoughts are with you at this difficult time.